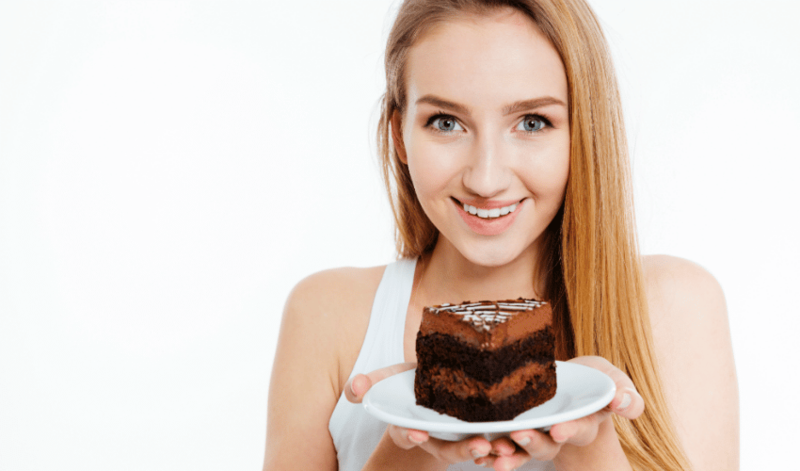 Chocolate plus cake – what could be better? 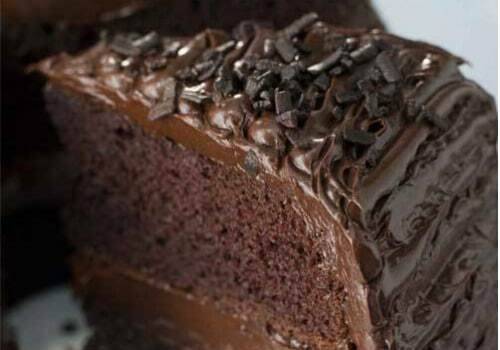 In this list, we cater to the chocoholic and provide 25 fantastic chocolate cake recipes. This list is going to provide everything from a traditional chocolate cake to a death by chocolate cake recipe. Regardless of what cake you choose though, all of the recipes on this list are going to be wonderfully delicious. And, most of the cakes on this list are a breeze to make. This will ensure that whether you are making a cake for yourself or a group, you can have it ready with minimal time and effort. If you love chocolate and baking, look no further than this list. Be warned though; it will be hard to pick just one recipe off of this list! For more delicious recipes, check out our list of the best cake recipes or our list of the best dessert recipes. With these recipes, dessert should be its own food group! 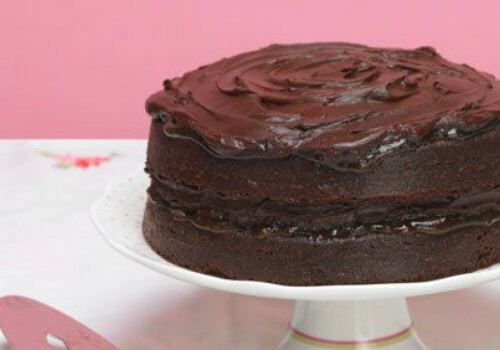 This chocolate cake recipe has appeared in Good Housekeeping numerous times since 1927. It is simple, traditional, and classic. In this version, you will use both cocoa powder and semisweet chocolate. This will ensure that every bite is loaded with chocolatey goodness. So if you want a simple and sure-fire chocolate cake, this Good Housekeeping recipe is for you. 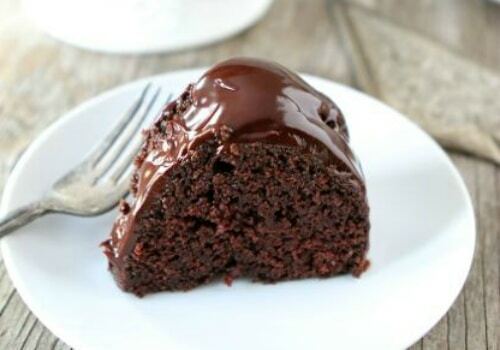 Semi-homemade, this crockpot chocolate cake recipe uses a cake mix as a base. From there the recipe includes chocolate chips, caramel, and sweetened condensed milk to ramp up the flavors. And, since it a slow cooker recipe, this is an easy dump and leave it recipe that will make your friends and family swoon. Covered in a silky smooth chocolate glaze, this chocolate sour cream Bundt cake Recipe is virtually fool-proof to make. The Dutch processed cocoa provides a rich and deep chocolate flavor, and the chocolate glaze will satisfy even the most rabid chocoholics. So give this cake recipe a try the next time you are in the mood for a delicious bundt style cake. With hundreds of five-star reviews, this Black Magic is the real deal. The recipe is going to provide a chocolate cake that is both moist and rich. Ingredients like buttermilk and coffee set this chocolate cake recipe apart from the others. So get ready to make this cake multiple times throughout the year. 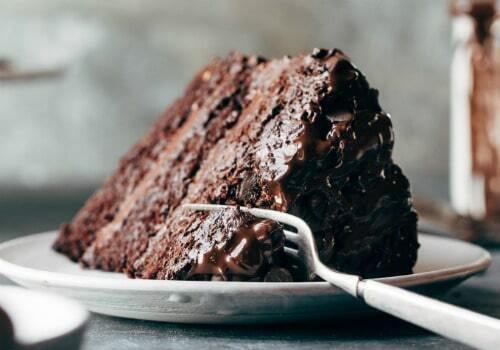 One type of chocolate is just not enough for this cake. That is why hot fudge sauce, chocolate pudding, and chocolate whipped cream all top this chocolate cake. Perfect for large crowds, the sinful triple chocolate poke cake is a cinch to make too. It will satisfy even the most discerning chocolate lover. Short on time? Try this chocolate poke cake that can be whipped together in a manner of minutes. The cake is infused with a tasty mixture of melted chocolate and sweetened condensed milk. 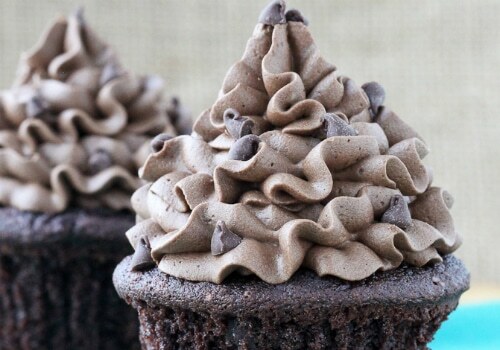 After that, it is topped with chocolate whipped cream and chocolate chips. 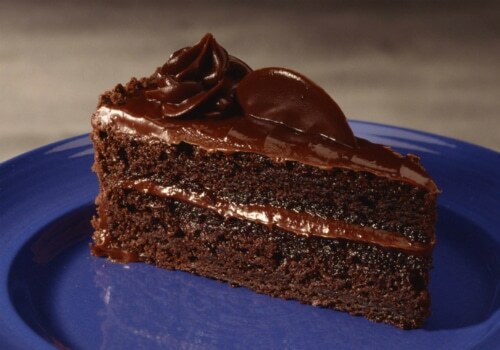 In conclusion, if you are looking a moist and tasty chocolate cake, this is the recipe for you. 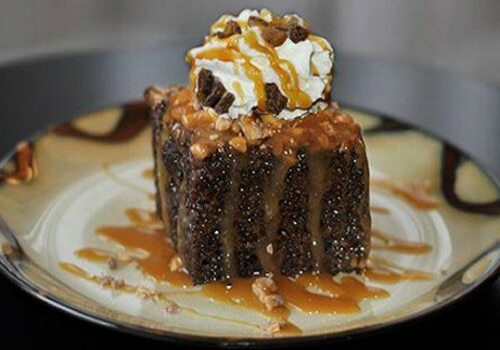 Decadent and delicious, this Brick Street Chocolate Cake has it all. 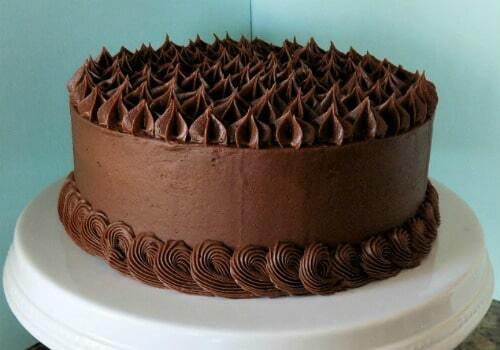 The cake is both covered and filled in a pourable chocolate ganache. 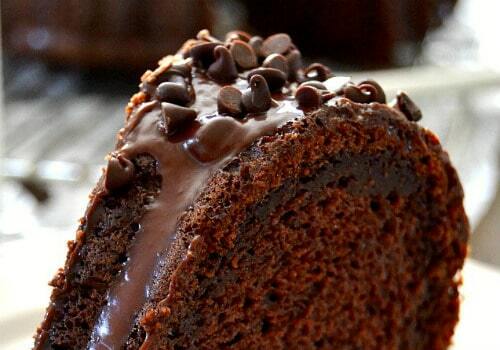 The cocoa-based ganache and cake are then complemented with chocolate pudding and chocolate chips. All of this will ensure that you cover every chocolate base. Dense, moist, and tasty, this is the perfect base chocolate cake. You will be able to use this base for a variety of chocolate cake recipes. Ingredients like buttermilk, strong black coffee, and instant espresso will give this cake a subtle kick. It is going to be the perfect combination for both chocolate and coffee lovers alike. 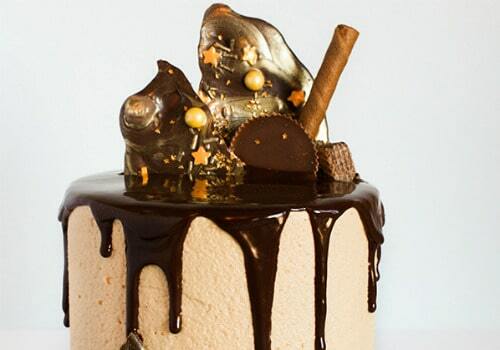 If you want a cake that looks as good as it tastes, this Drippy Ganache Cake is for you. 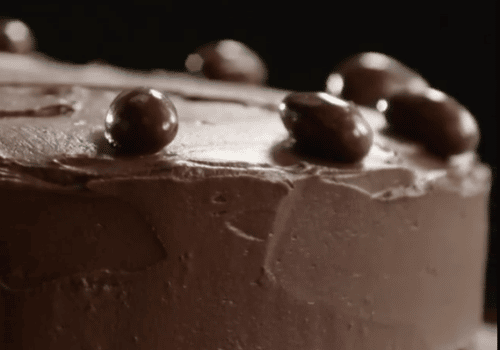 This cake decorating tutorial (complete with a link to the perfect chocolate cake) will shos you how to make a phenomenal ganache drizzle. Along with the drizzle, it will show you how to decorate your cake with perfectly placed candies. 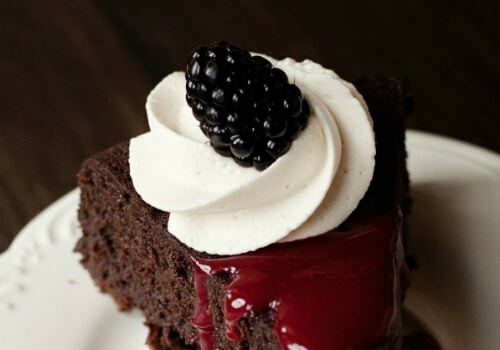 This will allow your cake not only to taste great, but also look great. This recipe is part cheesecake and part chocolate cake. The two types of cake pair perfectly together. And as a bonus, a yummy raspberry sauce ties it all together. 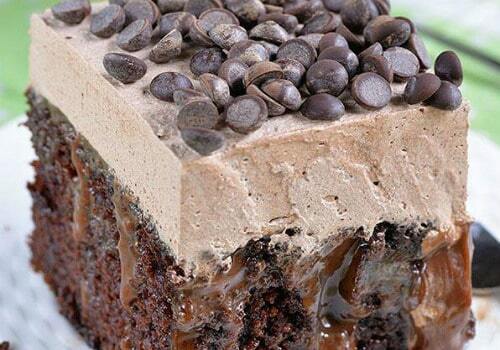 If you can’t get enough of chocolate in all its forms, then this is the cake for you! From the UK baking Master, Mary Berry, this chocolate cake is one for the ages. Rich and delicious, this chocolate cake calls for some unique ingredients. Ingredients like, apricot jam, caster sugar, double cream, and Good Fairtrade chocolate all come together to create this one of a kind cake. 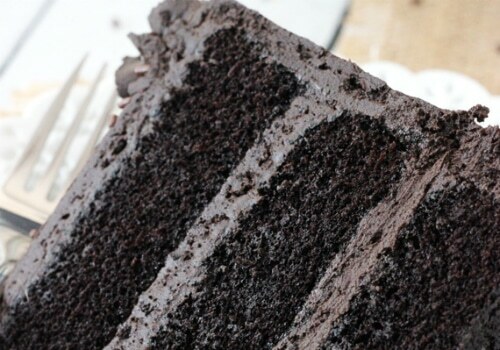 Thick, dark, and delicious, this chocolate cake is chocoholics dream come true. Whole milk yogurt, espresso powder, cream cheese frosting and chocolate chips all combine for a one of a kind taste. 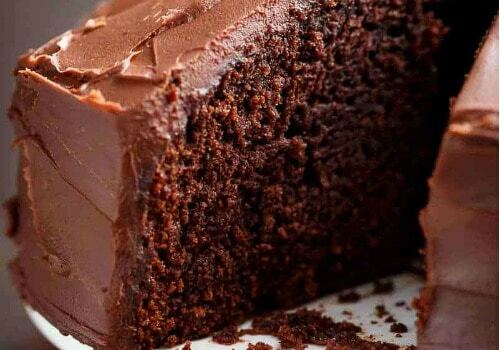 Moist and easy on the eyes, this is one chocolate cake you will turn to time and time again. Rich and decadent, this chocolate cake is part brownie and part cake. Made in just one bowl and with a wooden spoon, this is an easy to make cake with not much cleanup. As a bonus, this chocolate cake uses a delicious ganache topping, covering all the chocolate bases. 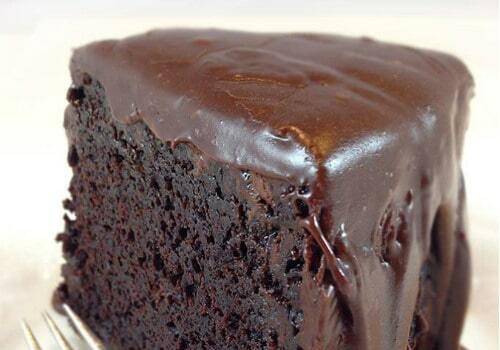 This simple and easy chocolate cake is moist and tasty. It is also going to make an excellent base recipe for lots of other chocolate cake combinations as well. With a thick and mousse-like batter texture, the cocoa in the batter shines strong, giving it a deep, rich flavor. This is one cake that is so good; your guests may not believe you made it. Buttermilk gives the extra boost of flavor here, while the chocolate frosting is creamy and delicious. Give this recipe a try next time you have guests over, just be ready to prove that you really did make the cake. Strawberries and chocolate – a classic combination, but this time in cake form. 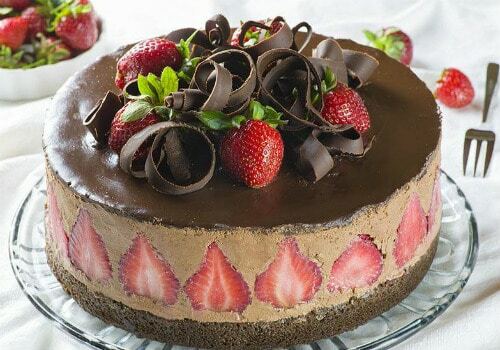 Chocolate cake, chocolate mousse, chocolate ganache, and fresh strawberries combine to make a cake that is as pretty to look at as it is to taste. The best of both worlds, this chocolate mousse cake has a tasty chocolate cake base and a creamy chocolate mousse topper. If you are a fan of mousse cakes, this is one recipe that you have to try. Along with it being great tasting, it is also going to be pleasant on the eyes with the added chocolate shavings. 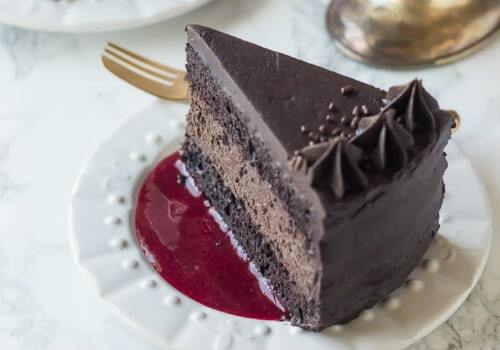 Dark chocolate lovers look no further – this is the perfect dark chocolate cake. 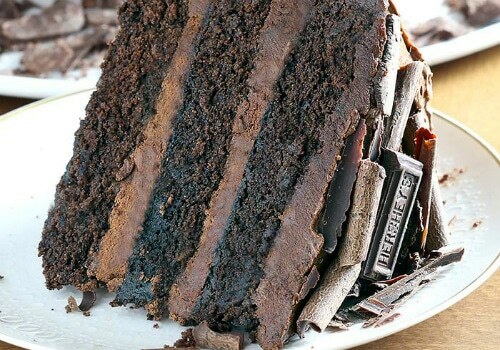 Hershey’s Special Dark cocoa powder is used, as well as hot, strong coffee, giving this cake a dark, rich flavor. Moist, rich, and decadent, this is a cake that you will make year after year (or week after week!). 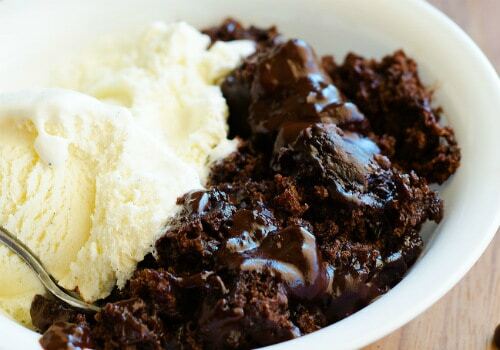 Simple yet delicious, this hot fudge pudding cake has a tasty warm fudge center. The chocolate flavor is strong and delicious, while the hidden fudge center is a pleasant surprise. As a bonus, this cake is ready (cook time included) in under 40 minutes. Moist, decadent, and rich, this chocolate bundt cake is the only type of bundt cake you will ever want to make. Semi-homemade (the base is a cake mix), extras like chocolate pudding, sour cream, and heavy cream are added. 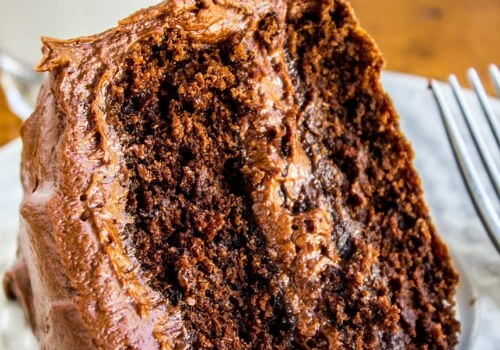 All of these ingredients will ensure that you have a sinfully rich chocolate cake. With a texture somewhere between a brownie and a custard, this flourless dark chocolate cake is a nice change of pace. Dense, rich, and creamy, a small piece (or a big piece!) 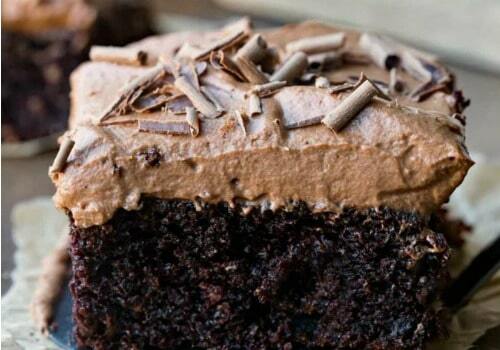 will satisfy all of your chocolate cravings. 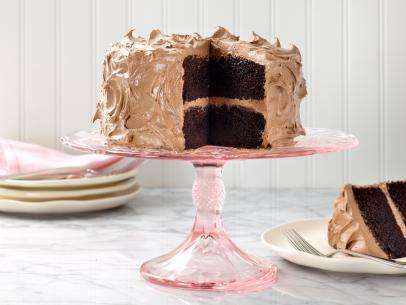 This moist chocolate cake is filled with chocolate ganache and topped with chocolate buttercream. It is also easy to make into cupcakes or a traditional cake based on your preference. 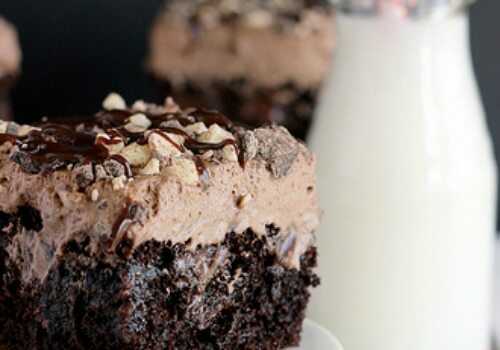 This Death by Chocolate recipe is sure to impress both your taste buds and your friends and family. Try using the chocolate buttercream with other desserts, as well – this light and airy buttercream is truly special. An Ina Garten recipe, this chocolate cake is moist, fluffy, and in classic Ina style – perfect. The addition of brewed coffee provides the Beatty’s chocolate cake an additional layer of flavor. This is going to allow the cake to have the perfect amount of sweetness. Modeled after the restaurant Magleby’s chocolate cake. 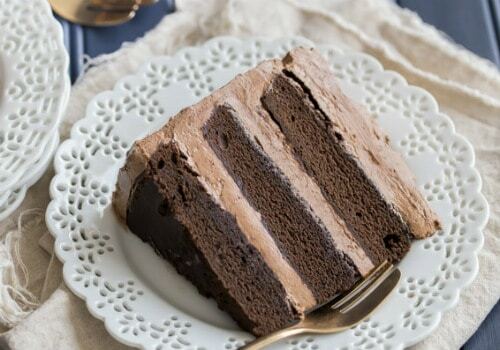 This Magleby’s copycat chocolate cake recipe is a rich and dense chocolate cake that shares some similarities with a Texas sheet cake. The cake’s brownie-like texture also makes this recipe an excellent choice for the chocoholic who can’t decide between brownies and cake. The name says it all – the best chocolate cake. This slow-bake cake bakes at 300 degrees and produces a moist and delicious cake. Dark chocolate cocoa is used in this recipe, ensuring that a rich chocolate flavor comes with every bite. This list probably had you at chocolate. But, if you were able to read past that. You will have noticed that there are a lot of quality chocolate cakes on this list. They are also not that difficult to make either. This means that you are going to be able to enjoy a great tasting cake pretty much any time you want. So don’t wait for a birthday party or special event to break out one of these great chocolate cake recipes. Let us know how your cake turned out in our comments below. Also, if you are in need of any of the baking items, make sure that you visit our list of the best kitchen tools.